NA = data not available accounting for 93% and 85% of the growth in cereal and meat demand, respectively (Rosegrant and Cline 2003). While increased food production is needed in the future, and is possible, the environmental consequences of farming are already apparent and are likely to increase (Foley et al. 2005; Tilman et al. 2001). Farming is already the greatest extinction threat to birds (Green et al. 2005). Agricultural expansion has been responsible for the clearing of forests that provide valuable ecosystem services (Ramankutty and Foley 1999), the modification of surface water flows (Postel et al. 1996), regional and global climate (Bounoua et al. 2002), and the release of carbon dioxide, a greenhouse gas (Houghton 1995). Excess nitrogen and phosphorus released from the use of fertilizers has resulted in the emissions of nitrous oxide, a potent greenhouse gas, and the eutrophication of lakes, rivers, and coastal ecosystems (Bennett et al. 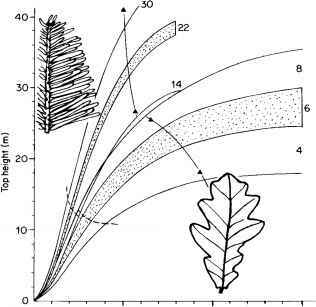 2001; Vitousek et al. 1997). The central question of sustainability with respect to food production is whether a near-doubling of food production can be achieved without degrading the environment (Tilman et al. 2001, 2002).